'The Olfactory' will have a central place at the Mad-Faculty, University College PXL in Hasselt and UHasselt (University of Hasselt) Belgium. 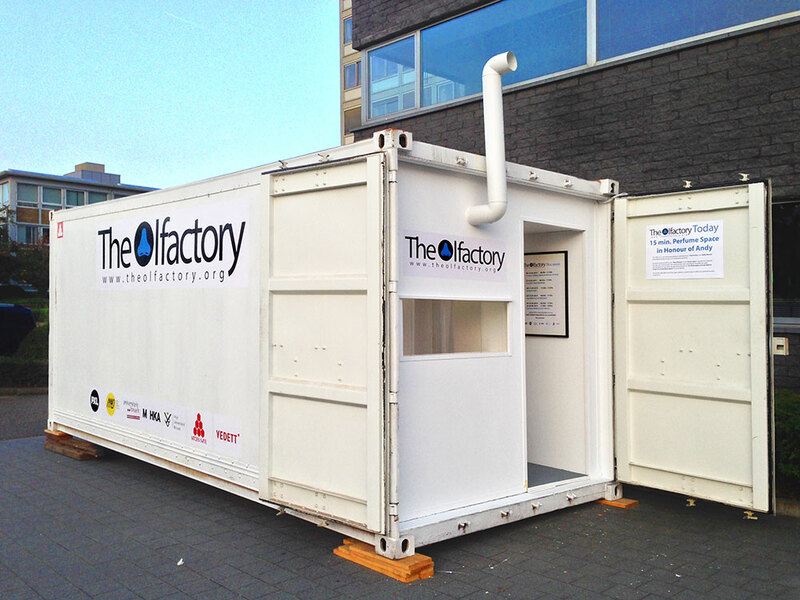 From there 'The Olfactory' will travel to the Muhka Museum in Antwerp and the VUB (Free University Brussels). The upcoming opening is sponsored by Vedett. Peter the Cupere is a visual artist working with fragrance. He is also a researcher at the Research Department at the Mad-Faculty in Hasselt, teaching Media Lab Fine Arts and coordinator of the Master Studio Art Vision Lab.